Improve your Personal/Business websites with these amazing, handy, and very useful WordPress Media Plugins. Google Maps in an easy, simple, styled, and in a responsive way.Considered to be the easiest WordPress map plugin on the market. It also includes a live demo for you to see a lot of shortcode examples and samples of maps you can create. 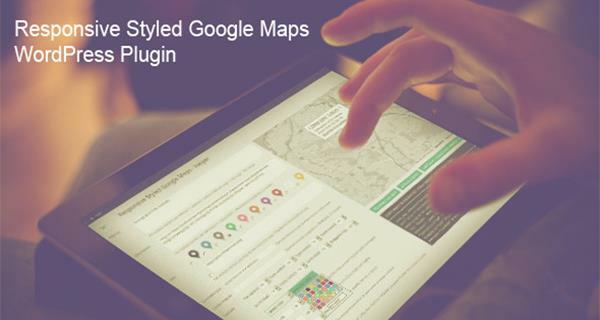 Responsive Styled Google Maps allows multiple markers per map and multiple maps per page. No API key required. The shortcode is very easy to generate and the map is so easy to use. This plugin lets you add custom backgrounds for Pages, Posts, Categories, Archives, Home-page, Front-page, 404-page, Search-page, Author-page, and Custom Post type.Custom Backgrounds lets you choose between 4 types of backgrounds; Single and Multiple Backgrounds, jQuery Background Stretcher, jQuery Parallax effects, Background Timer Background Scheduling, and Clickable Backgrounds. 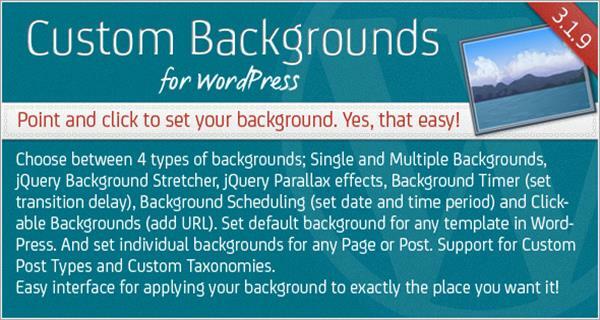 Set default background for any template in WordPress. And set individual backgrounds for any Page, Post and Custom Post Type. A simple WordPressplugin.PDF viewer provides a nice interface to view pdf files on your site. 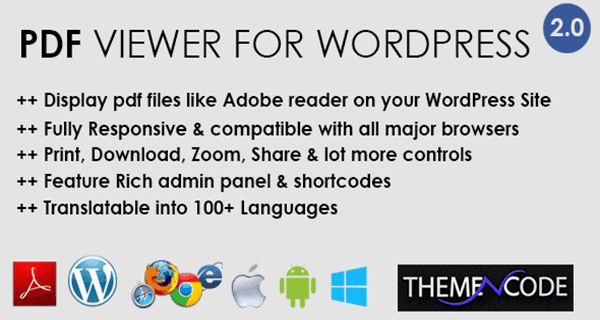 It enables you to embed pdf files with a nice viewer directly on any page/post of your wordpress website. It also comes with another shortcodethat enables you to allow a particular pdf file open with viewer. Indeed a great & useful plugin if you want to display pdf files of your site with a nice viewer like Acrobat reader. It comes with page navigation, Download, Print, Presentation mode &a lot more of cool tools. Youtube SEO playlist is an unordered list of YouTube links converted into a video playlist. The php script makes the YouTube list on a fly and uses the latest GdataApi v2. You can choose to make a video playlist with keywords, user channel or a regular YouTube playlist. There are many options which can be set in the php script and in the jQuery function. Includes the new html5 YouTube player option. This is the only YouTube script available with search engine optimisation (SEO) Almost drag and drop. AWordPressPlugin that’s designed to provide the ultimate listening experience from your post, page, sidebar or template. 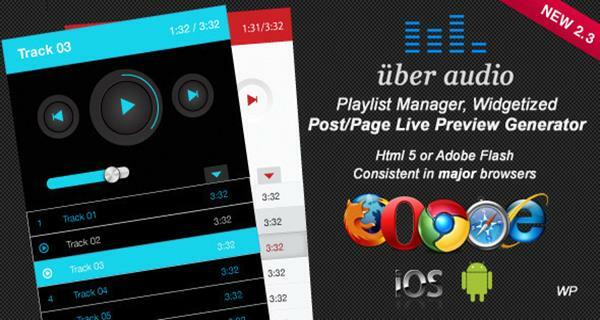 Über Audio allows you to put together a custom playlist quickly and easily. You can create beautiful players in seconds with the help of Über Audio player generator. Within a few clicks you can have Über Audio players running on your site. You can store multiple playlists in the admin options of Über Audio and then select one playlist to display on each player. There’s no limit to the number of tracks you can add to your playlist. Its gives the user the ability to show or collapse the playlist for a simple viewing experience.